The famous food photographer Karl Petzke had aptly remarked: “Chocolate symbolises, as does no other food, luxury, comfort, sensuality, gratification, and love”. Cacao, the plant whose seeds are responsible for this divine treat, has been known to us for thousands of years. However, the chocolate as we know and love is a rather modern invention. The news of Cacao reached Europe in the 16th century, and the chocolate bar wasn’t invented until the 1850s. The rest as they say is history. Almost everyone loves a chocolate and you have probably savoured innumerable chocolate bars growing up. But, do you know how chocolate is really made and what differentiates a good chocolate from a bad one? 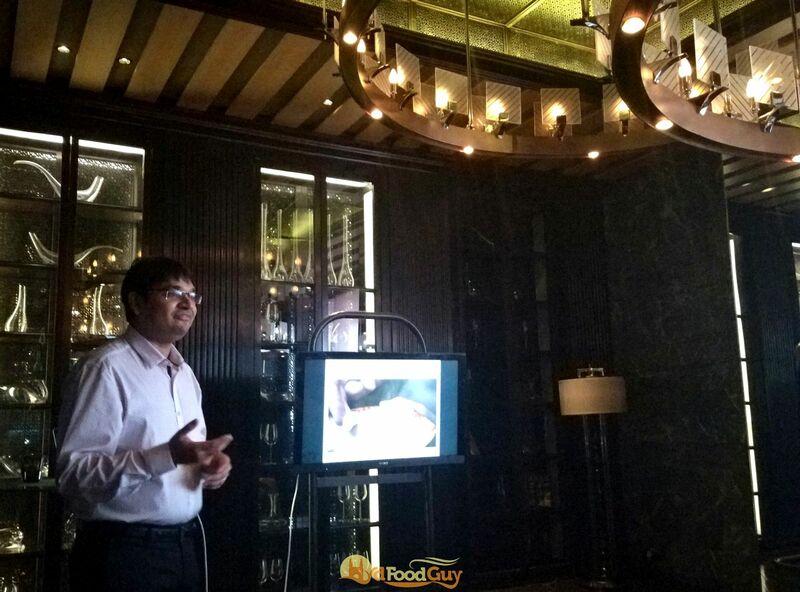 As a part of its fifth-anniversary celebrations, Park Hyatt Hyderabad invited L Nitin Chordia, the first certified chocolate taster from India, to host a chocolate appreciation class. It all begins with the evergreen plant called Theobroma Cacao – more specifically the pods of Cacao. Oh, by the way, Theobroma literally means ‘Food of the Gods’. Cacao plants are water guzzlers and grow in the parts of the tropics (twenty degrees above and below the equator) with perennial rain. In India, it grows in the Southern part of the country, including Andhra Pradesh. Nitin began the class with a brief overview of the steps involved in chocolate production. The fruits or the pods of Cacao when cut open look something akin to Sitaphal – seeds covered by a sticky, white pulp. The seeds are extracted and left in wooden crates covered with banana leaves for around 3 days. Inside these sweat boxes the seeds undergo fermentation that alters the chemical composition and is crucial in developing flavours. The temperature can increase to 50 C during this process. Once fermentation is complete, the beans are sun dried for a week or two, and then shipped off to factories for processing. Removal of moisture is crucial as it ensures that the seeds remain in best condition over the duration of transport. The processing of Cacao seeds begins at the factory with roasting. The Cacao seeds are roasted at 150 C for a few minutes. The temperature, temperature curve, and the duration of roasting differ significantly between chocolate makers as this process has a marked effect on the taste of the chocolate. It is this roasting process converts the raw Cacao seeds into the familiar Cocoa. The husk from the seeds is removed and the cocoa beans are broken down into Cocoa Nibs. These are then put in a grinder, which in about 15 minutes produces a smooth, dense, and lustrous paste known as Cocoa Liquor. Cocoa Nibs contains a large amount of fat known as Cocoa Butter, and the grinding process breaks down the solids and dissolves it in the cocoa butter. At this stage, sugar and a binding agent like lecithin might be added. The cocoa liquor can be shipped out to a different chocolate maker or sent to the in-house chocolatier for the final stage of chocolate production. While large-scale operations have industrial grinding machines, the equipment used by many artisanal chocolate makers might surprise you. Nitin revealed that Idli grinders from Southern India (especially Coimbatore) are exported globally and used for grinding cocoa nibs. The final stage in the preparation of chocolate is a process known as tempering. The fats in cocoa butter can crystallise in six different forms, and the temperature determines which form it takes. The chocolate moulds are heated gently till they melt and then transferred to a cold marble slab. The mixture is constantly stirred and agitated till it gradually cools to the desired temperate – usually around 34 C. This is then transferred to the final mould. Tempering determines the final taste of the chocolate as well as its appearance and snap. Chocolatiers can also incorporate additional ingredients to add different notes to the flavour. Artisinal chocolates can often be significantly more expensive than the popular chocolate bars. There’s a good reason for this. The affordable, commercially available chocolate bars aren’t really chocolates. They are a cocoa derivative that is commonly referred to as Compound Chocolate. The process of manufacturing compound chocolate diverges at the grinding stage. Instead of feeding the cocoa nibs to a grinder, they are placed in a hydraulic press. This press squeeses out the cocoa butter and leaves behind a powdery solid that is known as cocoa powder. Cocoa butter is a valuable ingredient and is sold to others including pharmaceutical companies. The cocoa powder is quite acidic and bitter and has to be chemically treated (alkalized). This powder is then mixed with sugar, vanillin (an affordable vanilla substitute), milk powder, artificial colouring, flavouring agents, and cheap fat like palm oil. Everything from the ubiquitous Dairy Milk to the popular Ooty Chocolate bars are made from this compound chocolate. A couple of years ago, a Times of India article revealed that chocolate bars sold in the market contain as much as 20% vegetable oil. Of course, a chocolate appreciation session is all about tasting chocolates. And Nitin had hand-picked nine different chocolates for us. All of the chocolates were dark chocolates – chocolates that dont contain milk or milk powder. We began with a sweetish 60% dark chocolate and finished off with a 76% dark chocolate. Just like with whisky or wine tasting, chocolate tasting also comes with its set of recommendations to help you gain a deeper appreciation of the flavours. Here are Nitin’s 9 tips for relishing dark chocolates. Never consume chocolate directly from the fridge. Allow it to approach to room temperature. Observe the chocolate carefully to get a sense of its colour and lustre. Cleanse your palate with water. Pick up the chocolate with your hand and smell it for a while. See if you can discern any off notes. Place the chocolate on your tongue. You should never bite a chocolate, but you may press it against the upper portion of the mouth. Cocoa butter melts almost at body temperature. So if you are having real chocolate, it will begin melting in a few seconds. 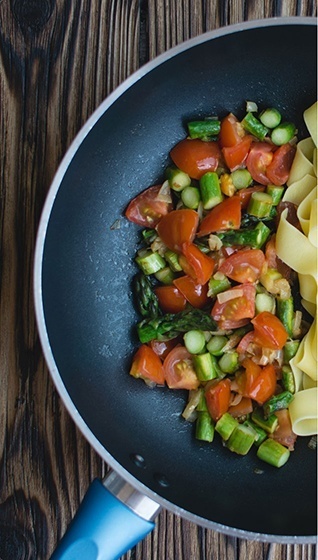 Allow the flavours to develop gradually. They’ll slowly envelop your palate. Exhale to discover finer notes. Once the chocolate is consumed, observe and note the finish and the aftertaste. What is a Good Chocolate? A lot of different factors determine the final flavour of the chocolate. 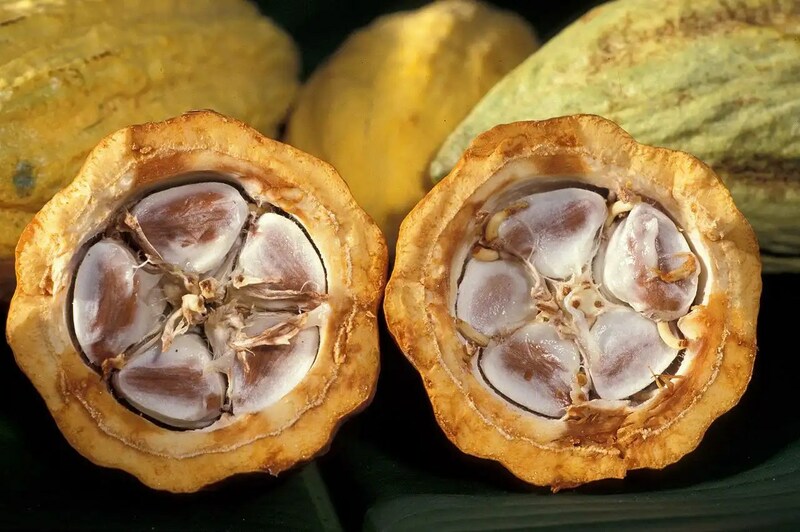 There are three main varieties of cocoa beans – Criollo, Forastero, and Trinitario. 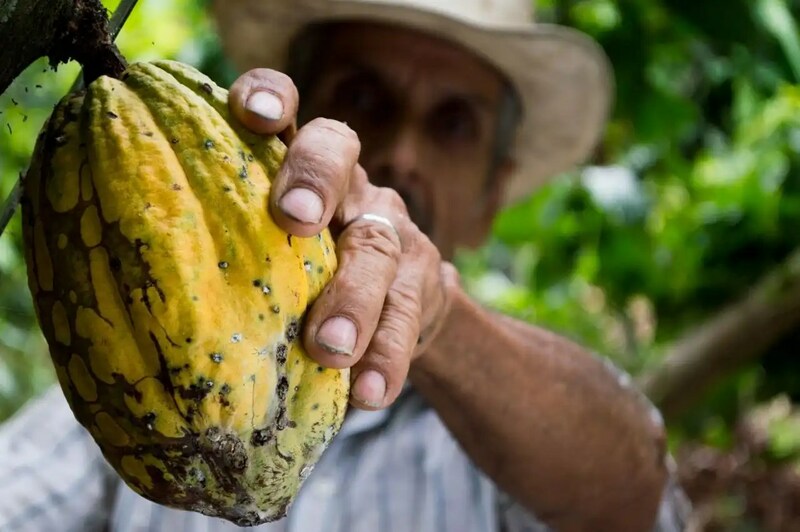 While Forastero is the most popular, Criollo is the most prized variety. During the chocolate production, fermentation, roasting and tempering are the key processes that influence taste. 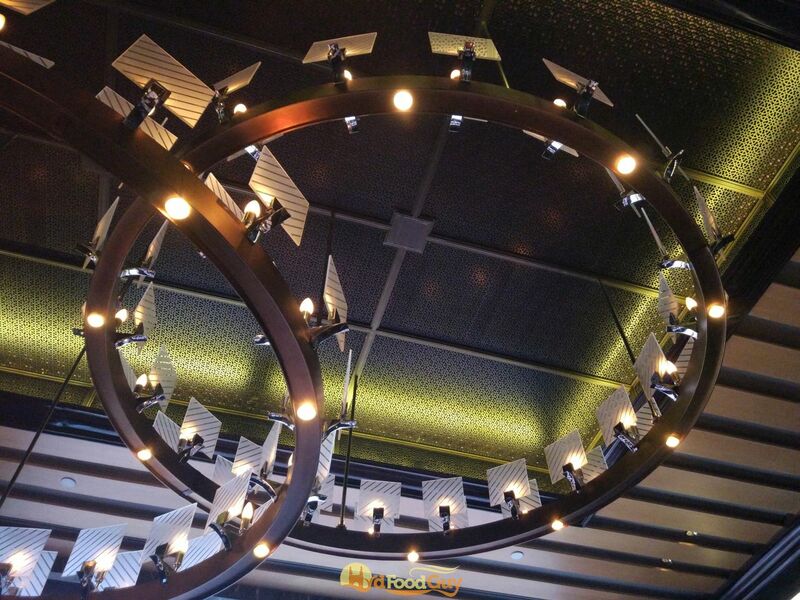 Even factors like storage and transportation can impact the quality. Chocolate should ideally be stored in a low humidity chiller. If chocolate melts during transportation or storage the sugar tends to separate out and form a whitish layer on top. At the end of the day, taste is always subjective. We tasted nine chocolates, and while there was general agreement regarding the flavours and tastes, there were distinct differences in personal preferences. 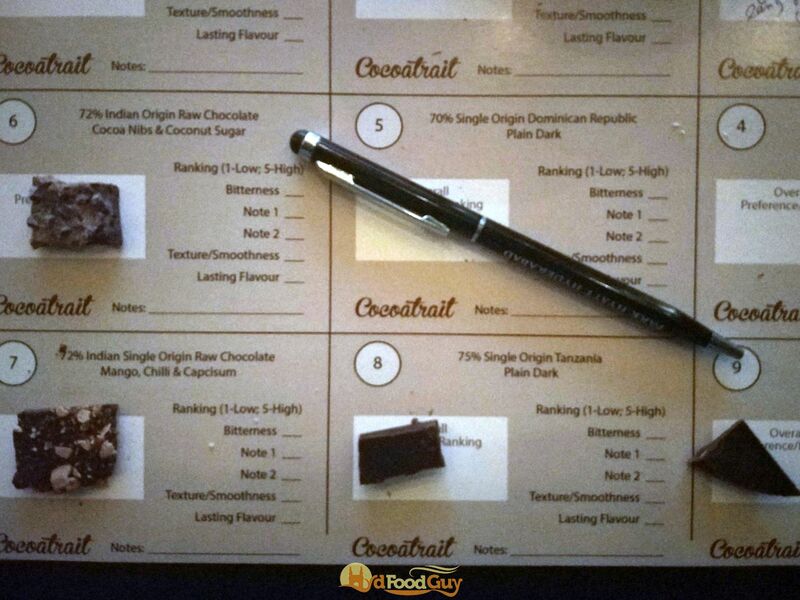 The most divisive were the chocolates from Earthloaf – an artisan brand based out of Mysore. The brand was founded with a vision to deliver delicious yet healthy treats and is one of the very few to produce raw chocolate bars. Earthloaf produces chocolates that aren’t roasted. In the first Earthloaf chocolate that we tasted, the chocolate was mixed with coarsely ground Cacao Nibs to accentuate the flavour. It also used coconut sugar instead of the more conventional cane sugar. This distinctive process lent the chocolates a unique, woody and earthy taste, but also resulted in a chocolate that’s drier on the palate. The second variant that we tried is notable for using a vegetable! The Mango, Red Capsicum & Chili Dark Chocolate features an esoteric combination that genuinely surprised me with the prominence of the capsicum flavour. Pascati is another Indian brand that makes some great dark chocolates. At less than two hundred bucks for a bar, Pascati is affordable and its 60% dark chocolates are ideal for someone looking to venture into the world of artisanal dark chocolates. While I wasn’t a big fan of the Peppermint Dark Chocolate from Indah, the Chilli flavoured dark chocolate by Pascari from Ecuador was immensely likeable. Nitin operates his own multi-faceted venture called Cocoatrait, which among other things, also makes limited batches of artisanal chocolates. He has selected three artisanal chocolates made by Cocotrait using chocolate moulds imported from Grenada, Dominican Republic, and Tanzania. The one from Grenada featuring Criollo chocolate beans was easily my favourite; it stood out due to the robustness of its flavour and the exceptionally creamy texture. Nitin reserved his personal favourite for the very end. Marou, an artisanal Chocolat brand in Vietnam, was dubbed by The New York Times as ‘The Best Chocolate You’ve Never Tasted‘. 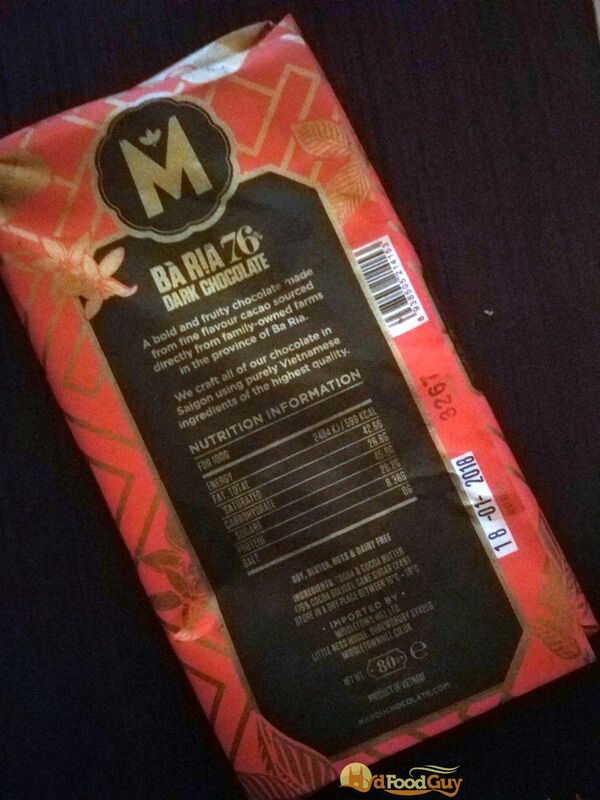 We were offered a 76% plain dark chocolate by Marou. One bite into this beauty, and it became quite evident why Marou is taking the world by storm. Just like in Whisky distillation, expert Chocolatiers can impart a whole range by flavours by carefully selecting the beans and delicately controlling the production process. The Marou shone with its creamy texture, the gamut of fruity flavours, and a distinctive finish of berries. For people interested in getting their hands dirty and learn how to make chocolates, Nitin runs ‘Cocoshala’, a chocolate making school, in Chennai. Most of the chocolates mentioned in this article can be purchased Cocoatrait online portal. Image Credit: Featured Image from Pexels.